i am poet. i have been writing & performing for 16 years. i use poetry as a connection with people & audience to start a dialogue about historical & current situations. i write love letters to cities & dead icons to show my respect & i deconstruct my own insecurities through form & verse. i do it with persistence & dedication to the art form. poetry has given me so much so i repay poetry with my time & effort. it has opened doors, shown me new cities, new sun rises, new writers, old writers, beautiful moments & for that i am grateful. i hope it does, community is an audience i purposely want to reach to, for the simple fact that i feel responsible to tell their story, our story, i have tried to use my story as a template that if a high school drop out like myself could transform his life in a heartbeat & strive to be a successful poet/writer/poet then anyone honestly can. a friend of mine inspired me to write & also supported my very early development. i always feel that was the most important part of my career, is the support i have received from friends, peers, mentors & in turn i do the same with my peers, my mentees & my friends, i owe it to the craft to continue this wonderful cycle of support. poetry saved my life, so now poetry is my life, in the most non cliche’ tone possible. honestly. bonafide rojas has two books of poetry published: “Pelo Bueno: A Day In The Life Of A Nuyorican Poet” (Dark Souls Press, 2004) & “When The City Sleeps” (Grand Concourse Press, 2012). 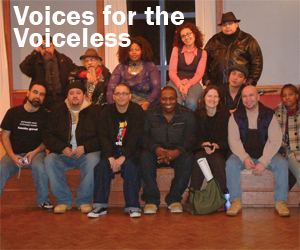 he has performed nationally at venues & colleges: Lincoln Center, Museum of The American Indian, El Museo Del Barrio, Voz Alta, Pregones Theatre, The Bowery Poetry Club, The Nuyorican Poets Cafe, The Puerto Rican Traveling Theatre, M.A.C.L.A, The Point, The Guild Complex, Amherst College, UMass-Amerst, Hampshire College, Syracuse, UC Berkeley, NYU & Columbia University. he has appeared in Russell Simmon’s “Def Poetry Jam” Season 4, the poetry documentary “Spitting Ink”, & have been published in the anthologies: “Bum Rush the Page: A Def Poetry Jam” (Three Rivers Press, 2002), “RoleCall”: A Generational Anthology of Social & Political Black Literature & Art (Third World Press, 2002), “Learn Then Burn” (Write Bloody, 2010), The Centro Journal, The Hostos Review, The Acentos Review, Columbia’s Roots & Culture, The Calabash Journal, & Palabras. he is the bandleader of the experimental art project “the mona passage” & lives in nyc.